I wanted to update my testimonial that I did prior as I've now had 10 paying jobs in my first year which is pretty darn good! Joining John Casablancas was easily one of the best decisions of my life. I was signed with an agency less than a year ago! My first successful audition resulted in a national commercial for Health Markets. A week later, I played a casino pit boss for another commercial. My third and forth jobs were print work for Rite Aid. My wife and I were blessed to work together in both shoots! In November, I did more print work for the American Red Cross. In December, I enjoyed the great fortune of being cast as a principle in a national Virgin Mobil spot! In Jan. of 2016, I got the opportunity to work with my wife again on a testimonial commercial for the Luma Bowl. In February, by way of an invitation from a casting director, I performed in a Sag/Aftra production for Colonial Penn. *This spot is currently airing nationally! Last month, I did print work for PDI Pharmaceuticals and finally just 3 days ago, my wife and I did extensive print shoots for Delmarva/Pepco. **THE FACT IS, IF I HAD KNOWN THEN WHAT I KNOW NOW, I WOULD HAVE JOINED JOHN CASABLANCS PHILADELPHIA WHEN I WAS TWO! WE ARE SO THANKFUL TO John Casablancas! I first became aquainted with John Casablancas Philadelphia when I escorted my daughter there. It was that intial experience that convinced me that this was a well conceived program that offered my daughter authentic training and honest expectations for modeling and acting. An unexpected and surprising outcome of that was that I, too, a retired professional educator (school district superintendent) was intrigued by the promise of the John Casablancas experience and consequently enrolled both my daughter and myself. It has been an outstanding experience for each of us. The teachers/mentors are experienced, practicing professionals who coach and encourage the young and not so young hopefuls in a relaxed, friendly and "safe" atmosphere. Their focus is your success! So, too , are the efforts of all who touch on your preparation-photographers, make-up artists, personal presentation. I'm close to graduation and I'm considering "graduation work". Thank you John Casablancas! I am currently working with John Casablancas Philly and in the Commercial Acting Group on session 6. I viewed a film on the casting board that they have located at the center and submitted. I was booked as an extra on Chadwick Baseman's new film "17 Bridges." I was brought in for a fitting to be a NYPD extra. I was able to be on a professional set and learn a lot of the process. It was a great experience. I got a SAG waiver, got paid and met a lot of new friends. Annie, I would like to say that I really appreciate how you run your business. I know there can be mixed reviews but I really think it just comes down to the staff at each individual location and how much the students put into the course. You guys in Philadelphia do a wonderful job. Every single instructor on staff has been great. Some are better than others of course but I have not been disappointed in anyone at all. They are all friendly, helpful and more importantly knowledgeable. Ron especially is fantastic. Cooper is more interested in the modeling side more than acting and Ron not only knows his stuff and relays it well, but his teaching style and personality are perfect for Cooper. Cooper can relate to him personality-wise. My son was diagnosed with anxiety disorder, like me and it takes a lot for him to even speak to people outside of our home. Since starting at John Casablancas he has done so much better at interacting with people for other things, such as school and Cub Scouts. He is learning how to step out of his bubble and interact with others. I just wanted to take a minute to say thank you. Being with John Casablancas has done some wonderful things for my son's confidence and social development. We already see a difference in Georgia's confidence already! I try to remind her to love herself first. This center has really given her a boost and the photo shoots as well. It has been fun watching the excitement as she goes every week. She just started an instagram account and liked John Casablancas. I started taking pics of her and some of her classmates together and with her teachers. Annie she loves you and talks about you a lot. She also loves your brother Ron, Amanda, Jeannine and everyone there. Thank you for everything! I just wanted to let you know that Kylie just signed a 3 year contract with MMA. Annie, thank you for all that you have done! John Casablancas has restored my faith in the industry because they live up to their reputation and prepared me so well. Since working with them, I have signed with the agency and have been booked for numerous paying jobs including Build a Bear, Med Alert, Rite Aid, Channel 6's "The Art of Aging" and many pharmaceuticals! Thank you Annie, you ROCK! The John Casablancas Philadelphia Center has been a wonderful experience. Every day had a new lesson to learn and new people to meet. I feel that the John Casablancas program brought me closer to achieving my dreams. The teachers here are friendly and helpful and they all just want to see you reach your goal. The teachers stop at nothing to help you get there. John Casablancas is a life changing experience and if I could do it all over again I would. Annie, I just wanted to thank you again for inviting Bethany to John Casablancas. She is really enjoying the opportunities that have opened up for her as a result of the training she received at your center. I'm happy to share that Bethany will be participating in Philly Fashion Week. She has been selected to walk for amazing designers including Punchline Clothing, Mahjing Wong, Todd Anthony, Kholyns Couture, Bishme cromartie, Elizabeth Delgado and Closet by Christobal. It is a very exciting time for her! You and your staff have contributed immensely to Bethany's success. I can't thank you enough for giving her the skills she needed to pursue her passion. Thank you again! I have a blast here as soon as I walk in the door. I feel like my potential has grown daily by coming to John Casablancas. I am now a graduate and with the agency and beginning to go out on auditions. Annie, I want to thank you for believing in me. Since the 1st day I walked through John Casablancas's doors, your mother and you saw something in me when I didn't think I had any special anything! I am now signed with the agency and shooting next week with Alesandro. I am beyond grateful for the opportunity that I given by you to show the world that I can do amazing things. Thank you from the bottom of my heart! John Casablancas is an amazing experience! I've learned so much, not only from the caring and disciplined teachers, but the gifted students here. Every day in class is something new and allows you to open your mind and understand the acting and modeling industry. There is nothing that will come close to John Casablancas! The people at John Casablancas Philadelphia make you feel important and that you can make it one day. You gave my son confidence and he loved every minute of it. It takes an hour and 40 minutes to drive here and I never minded driving here one bit as my son and I never wanted to miss one moment of class. Thank you for making this such a wonderful experience for my son. Thank you for making him feel special John Casablancas! I had the best experience at John Casablancas. I always learned something new and meeting new people that shared the same interests as me. John Casablancas became my 2nd home and I will miss coming here every Saturday! I felt as if I belong here and I thank Annie the Director for believing in me. Words can't describe my gratitude towards every staff member for believing in me also! John Casablancas Philadelphia was well organized and managed excellent! The staff and Director, Annie are very honest about your potential as a model or actor. I love the fact that they are not in business just to take money for classes and not give real advice. They were wonderful professionals who really know the industry! Ms. Holvey, Thank you for taking the time to help Trey with the little and big things throughout the past months! Thank you for your encouraging words and for taking my many phone calls on your cell and texts! Trey just got a callback with the agency! This experience has been wonderful. From the first moment, every person representing John Casablancas has been professional, positive and encouraging. The instructors are extraordinary with each one rich in experience, knowledge and insight. The most impressive aspect of John Casablancas is its integrity. John Casablancas is for real; you do what you say you do! Thank you! I feel like I am going somewhere great and I will always be grateful to you! The John Casablancas experience was far more rewarding than I anticipated. It has changed my professional life. Not only were the staff confident, accomplished and fun, they were very encouraging and supportive! I an so excited to be part of John Casablancas and am encouraged about what the future holds. I just got a callback at the agency! Bria was very enthusiastic about John Casablancas. The classes were interesting and fun and she felt she has learned a lot. Her photos from John Casablancas are gorgeous, the photographer was wonderful. Thank you John Casblancas! My 8 year old daughter started with John Casablancas in May of 2014. Since starting with John Casablancas, she not only has gained knowledge of the "business" but more importantly confidence in herself. She is more outgoing and comfortable in her own skin. The staff at John Casablancas is supportive, informative and real. After being burned trying to do this before with other companies, I can say that John Casablancas is the real deal! The program at John Casablancas was great for me because not only did it give me on-camera training, it gave me the knowledge about the business side of commercial acting. What is even better is that the classes were taught by actors who have actual experience and current roles on tv! When you add all of that, plus the Director, Annie is a former agent and doesn't pull any punches with the truth, you can't help but appreciate the experience at John Casablancas. Becky was a pleasure and really knows her stuff! I've learned so much from her. Dwayne was also fabulous and so very helpful! We also enjoyed Melissa at the front desk. I've gained so much confidence and self esteem. I've enjoyed my Sunday's at John Casablancas! I have noticed that Matthew's confidence in himself has increased and he carries himself in a more positive light. Matthew has more comfort in his daily interactions with adults and has found a home away from home at John Casablancas. My daughter Alanna and I have had a wonderful experience at John Casablancas. We both have grown together and have met some great people. We look forward to utilizing all the things that John Casablancas has to offer. We will always have John Casablancas to thank for all the success in the future! My daughter Paola has had a great experience to be a part of this program. Too bad that we live so far from here or we would be here way more often. It was a great experience at John Casablancas for my daughter! My daughter Morgan LOVED her time at John Casablancas. She has felt, as do I, her parent that the instructors are very informative, offering many helpful tips in addition to the instruction in their craft. It has been very beneficial for my daughters development and self esteem. She has no problem getting up in front of people to perform a commercial or monologue. The teachers had really good resources from which they offer the students. WELL WORTH the time commitment and the value is great! The John Casablancas center provided me with a solid start in the right direction. The instructors, especially, were very informative. They were so patient and sincere with their activities and feedback. I do feel more confident because of my instructors. They created more of a passion within me for this business. I am very thankful for this experience! My John Casablancas experience was excellent and I learned a lot about the acting business inside and out as well as what to expect. John Casablancas has very good instructors and they are willing to help you to the fullest to achieve your goals! I have enjoyed the experience with the program. All the instructors I have encountered were right on point. I love the fact that the Director, Annie is so straight forward! I really enjoyed working with Chad of Carbon Copy Photography at John Casablancas. He was awesome at the photoshoot. He was full of helpful tips for the girls and his pictures turned out great! I love the contact sheets he prepared. He wrote notes on them and then wrote a nice narrative on the back. I wanted to give positive feedback on him. He was very personable and appears very knowledgeable and helpful. I love John Casablancas! Everyone here is honest and that is because they care. They help to bring out the best in you and Annie the Director here is hilarious! I love the people who come here and everyone is easy to get along with. So glad that I got this opportunity to learn, build my confidence and pursue a career! I learned a lot about the industry and what it entails thanks to John Casablancas. The program provided me with contact that landed me a role on a TV series!!! The program also helped boost my confidence and esteem to do what I love! I enjoyed working with John Casablancas. My Daughter, Alexia has gained confidence and great skills with all of John Casablancas teaching and exposure. All of the staff are friendly and easy to talk to. John Casablancas with me financially to make my daughter's dream come true. I am grateful for all of John Casablancas time and support in helping my daughter achieve her goals. Keep up the great work. I love you Annie! Destiny has truly blossomed. She has gained so much confidence in herself. The school allowed her to do what she has wanted for so long. She gained poise and self awareness. I see her inner-beauty coming out. I know that I made the right choice for her. She as well as my son gave up alot to come on Sunday's but it was well worth it. They had no desire to miss any time! They wanted to be here for every session. That is commitment and John Casablancas is the reason for that. Thank you! What a difference John Casablancas has made in my daughter's life! Bethany has grown by leaps and bounds in her confidence. She has mastered the art of runway, makeup and public speaking under the direction of skilled, kind and engaging professionals! Their energetic approach to teaching aids not only in retaining the information presented but in developing bonds with all the other students. Bethany has made friends with other class participants that will last her a lifetime. The skills she learned at John Casablancas will serve her well in all aspects of her life. I love John Casablancas! The teachers are so nice and supportive. Their ears are always open for questions and new ideas. I have learned so much from being here. I thought modeling was only runway but this is so much more to it! I wouldn't chance this experience for anything! The people are amazing at John Casablancas! I don't know a better place to learn and to start working in this industry then John Casablancas. This place is professional with experienced trainers that help you all the way. Thank you John Casablancas! I love John Casablancas! I just started with them to learn commercial acting. My instructor is so nice and classy.....My goal is to become a successful actress! I graduated from John Casablancas in Langhorne in Oct. 2012. I was then signed with the agency. I just auditioned and booked a show on Lifetime Movie Network, "Killers Profile." I got paid $600! The next job I have is a print job, again thru the agency. This time I'll be making $1,000! Thank you!!!!! I love John Casablancas! The staff is very helpful and friendly. My daughter Sydney loves coming to work with everyone and to see all the student that she has become friendly with. We feel like we have another family! You are all so wonderful. Thank you for being so kind and loving to my "star" kid! Our experience here as a family has been great! The teachers are wonderful. I think Kris has really pulled the confidence out of Jameel and made him 100% better! Thank you for everything! I would like to thank Annie and Gail for accepting me into John Casablancas. I had a lot of fun and the most important thing is that I learned a lot. Now I know what my goals are and what I need to do. Thank you for the opportunity and thank you to all staff! Absolutely amazed with John Casablancas and Kris and Mac. They were wonderful and very thorough with all classes. Victoria is looking very forward to taking more classes. Thank you John Casablancas! John Casablancas has forever changed my life. I have gained so much confidence that I never had before. I have had amazing instructors and have valued all the positive critique. This place is a great experience and I will continue to learn and grow from it! John Casablancas gave me an opportunity to realize something I would never have entertained for myself. The staff was masterful in having my understand what it would take of me to go forth into a brand new world. I appreciate each and every staff member for the time, care and effort they invested in me! Through the opportunities offered at John Casablancas, I was able to hone my acting skills and create and develop the skill needed for commercials. During my classes my teachers were clear and straight forward. They offered their personal work experience both good and bad. By the time graduation came around, I felt prepared and confident to enter the agency. Thank you John Casablancas! My daughter Kar has truly blossomed into a very confident young lady after taking courses at John Casablancas. I love the support and knowledge that was received by all at John Casablancas. I would totally recommend this center to other future models and those interested in acting. Thank you John Casablancas! I enjoyed this experience so much at John Casablancas! Everyone was friendly and nice. This is like my second home! I'm so happy!!! Mac, is amazing, Chad is awesome and Lisa is just awesome too! This was a wonderful time! Annie & Gail are beyond professional in their presentation and instruction. Their honesty is so very refreshing and appreciated! What a wonderful experience this has been for Molly! We really have high hopes for continued success. Thank you John Casablancas! The program at John Casablancas is life changing. I would recommend everyone to come here. To actually see myself grow is amazing. The best part is everyone is family here. I love that so much and will never forget that! Thank you so much Annie & John Casablancas! To say I am pleased with my experience at John Casablancas would be an understatement. I started out wobbling in heels and having never worn make-up. Now, I can strut my stuff on the runway and am familiar with applying make-up. The staff at John Casablancas is passionate about what they do and that makes this experience that much more enjoyable. I am excited for what comes next! My daughter graduated from the modeling program at John Casablancas over a year ago. Annie, you were such a positive person for her. You really helped her believe in herself! Thank you for that. I just wanted to update you on her her. She is finishing up her first year of school at West Chester Univ. She has been working quite a bit with QVC doing mostly hair modeling and she is loving it. She has done other hair work and is in the window of a salon in Philadelphia. There is also a make-up book coming out and she is in that as well. 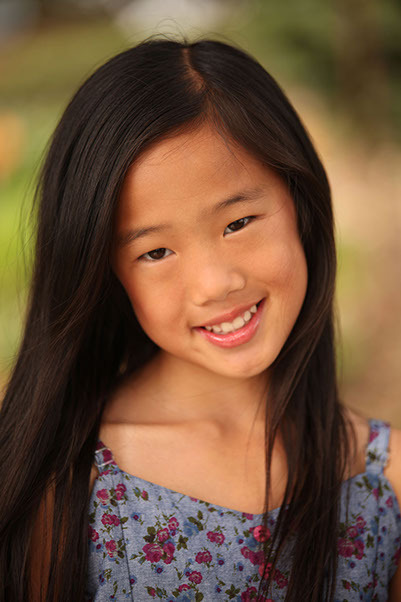 Keep your fingers crossed for her as she has a big audition this week for a commercial! I hope everyone is well at John Casablancas, we both think that you and the center is terrific. Thank you! I loved the knowledgeable, passionate & caring people at John Casablancas. The confidence they inspired in me through the classes makes me certain that I can improve in my own career as an investment advisor & pursue opportunities in acting & commericals! It has been a pleasurable experience at John Casablancas Philadelphia. The classes have served her as a starting point for her singing and acting career. The information and training is very valuable and benefits from the smallest to the biggest in the room. The staff at John Casablancas Philadelphia is MEGA friendly and so helpful! John Casablancas Philadelphia was the most memorable exprience of my life thus far. I truly appreciate this opportunity. The teachers at John Casablancas are awesome and talented and they have helped me grow as an aspiring actress. This center, I think is so beneficial and can really help you with what one wants to actually do. I would recommend it to anyone as the place deserves it! I enjoyed my experience here and will continue to be here a lot! We are so proud to be a part of John Casablancas Philadelphia!!! You are a wonderful group of super talented people! Nicole has enjoyed her training and we'll be around for a long while to continue learning from THE BEST!!! John Casablancas Philadelphia was a very professional place with top notch instructors. I had a blast every time I came. My experience at John Casablancas Philadelphia was amazing. I learned so much not only about acting but about myself. I loved the teachers, they are the most talented people I have ever met. The classes flew by and I never wanted to leave. To me, John Casablancas was the only place I could be myself and feel comfortable! My John Casablancas experience really helped me with my confidence. I am very shy and almost 90% of the time I need an extra push. My instructors, all of them, helped me do just that! Thank you John Casablancas for a wonderful experience! Attending John Casablancas has been a fantastic experience. Not only has this helped me in everyday life, such as make-up, fashion and self confidence, but John Casablancas has also helped me in school as well. Now, I am a better public speaker and I am a lot better around young people. Thank you John Casablancas and thank you Annie for always being so honest! I am very thankful for everything John Casablancas. Being here really made me a better and more confident person. Every teacher took the time to really help me and I thank them for that. Annie was the best and I thank her for that as she was always there for me since day 1! Attending John Casablancas has been a fantastic experience. Not only has this helped in everyday life, such as make-up, fashion and self confidence but John Casablancas has also helped in school as well. Now, I am a better public speaker and I am a lot better around people! Thank you John Casablancas and thank you Annie for always being so honest! As a parent, one of the most enriching experiences John Casablancas has brought to me is to see the growth in confidence of my 13 year old daughter. She has gained in both her willingness on standing in front of a group of people and speaking and confidence in her own beauty. Before John Casablancas she was a bit shy and did not see her own beauty, so Thank You John Casablancas! I came to the United States 1.5 years ago from Cuba. I knew very little English and very few of the American customs and culture. Still, I knew what career path I wished to explore. John Casablancas helped me to express my desires by giving me the skills to realize this career path. I gained the confidence to improve my English, understand the American ways and set my sights on becoming a success in the field of modeling and public relations. Thank you John Casablancas! Jaycee learned a lot attending the Preteen Program at John Casablancas Philadelphia. She is excited about hopefully doing commercials. She truly excelled in this class and because of her outgoing personality. Jaycee's future aspirations are to be an actor and a runway model. Our instructor Mac Butler is the very best! I can not stop raving about everything we have learned about this industry at John Casablancas. John Casablancas is the very best! My 14 year old daughter was a student at John Casablancas and I must say that I was pleased and satisfied with the experience. My daughter enjoyed the classes and the staff and she also just loved the photoshoots especially with the photographer, Julie. I can honestly say that it was worth every penny and what I love is that she can come back through for three years for any photoshoots and assistance with any questions that she may have about getting signed with an agent. Since graduating from John Casablancas Philadelphia I've been doing really well and I've had quite a few jobs mainly for hair and make-up shoots. I'll also be going to QVC soon! I am loving it and am so very thankful that you accepted me into John Casablancas then motivated me until I was signed by an agency. I wouldn't have had any idea how to get into the business if it were not for John Casablancas! Thank you so much! John Casablancas Philadelphia has truly transformed me into a more confident and professional person while at the same time improving my acting skills. When I came to John Casablancas I was looking to improve only my film acting ability. John Casablancas saw more! They brought out a talent in me that I never knew I had. I am now not only trained in film but also commercial acting and print and even modeling. Thanks to John Casablancas and their talented staff I am ready to go out into the world and start my career. Now, I have the tools to make it! Thank you John Casablancas! I am delighted that I decided to attend John Casablancas Philadelphia. I cannot begin to tell you how much I've learned and how it can be applied to my personal and well as professional life. (I am a school teacher and 58 years of age.) I have become more self aware inside and out. Thank you to all the instructors and the John Casablancas program for helping me to grow and for being so hospitable and accepting! John Casablancas was a great experience for my son, Austin. The staff at John Casablancas Philadelphia are very helpful and courteous. Austin adores the Director, Annie, and has nothing but great things to say about John Casablancas. Austin takes with him a lot of useful information and from the training he received in his Commercial Acting classes. He truly enjoyed the friendships he made while attending John Casablancas and will always remember the good times he had in his classes. Many thanks to instructor, Mac Butler for taking Austin under his wing! I would recommend John Casablancas to anyone who is serious about learning the industry and looking for a place that is truly honest about the business. All of the instructors and staff have been wonderful. Emmy has really enjoyed her experience and plans to continue. Thank you especially to Gail, Annie & Kelly for helping us get Emmy involved in this wonderful life changing experience at John Casablancas Philadelphia! Kelli has showed a great love for modeling. She has grown in the experience. She has expressed excitement and overcome shyness. She has shown confidence. I as her mother and she love the photo shoots. I have seen my little girl turn into a BEAUTIFUL person. Thank you John Casablancas Philadelphia! After being told by many people that my son could be a model I did a little bit of research and took him to an Open Call at John Casablancas. He was the youngest child there but out of the 40 or so attending he was one of 3 to be picked to take classes. At first I was a little apprehensive putting my 6 year old in a Preteen class but he excelled! After graduation he was signed by a large agency that they set the interview for and booked for print work within the first few weeks!!! Enrolling Andrew in John Casablancas Philadelphia was the best decision I could have made for him; not only as far as acting and modeling are concerned. The instructors at John Casablancas taught him to be confident, positive and outgoing in everything he does. I owe his succes to John Casablancas Philadelphia! My time at John Casablancas Philadelphia has been a fun and exciting adventure. I love the new people that I met and the cool things that I was taught. I love the classes and I had a great time. John Casablancas has really brought me out of my shy corner. I want to thank everyone at John Casablancas who made me become the outgoing girl that I am now! John Casablancas Philadelphia has provided more then an education. This Center has given me experience unlike any other. Thank you John Casablancas! I thoroughly enjoyed my time at John Casablancas. I learned so much and the teachers were very helpful and instructive. I will be sure to take advantage of the refresher courses that are included. I recommend John Casablancas Philadelphia to anyone who is interested in acting or modeling. My John Casablancas Philadelphia experience was amazing! I have learned so much. I feel like a real actress now! The teachers are phenominal and so talented. They taught me so much. Thank you John Casablancas. I went to John Casablancas Philadelphia and I met mentors that I will know and remember for a long time. What a great experience it was! I loved my time here at John Casablancas Philadelphia. They taught me so much and made me so much more confident. Thank you guys! Thank you to my teachers! I am so grateful for my wonderful classmates. Again, thank you John Casablancas! My Son Michael & myself Hodges his Father were very satisfied and happy with John Casablancas Philadelphia. The staff were very helpful and professional. Annie & her Mother, Gail are a barrol of professionalism and also fun to do business with. It is truely a pleasure doing business with them and I would recommend John Casablancas to anyone who is interested in the field of acting & modeling. Thank you Annie & Staff! John Casablancas Philadelphia was great! I feel like family with all of the staff and peers. I will be back for practice, to visit and to prepare for the audition they set up for me with the agency. Thank you for believing! Since attending John Casablancas Philadelphia I have really learned a lot such as opening myself up more towards speaking louder and clearer. I have learned a lot from before I attended John Casablancas. The mistakes I've made in auditions will not happen again due to John Casablancas! NOW, I know what to do! What a great program! John Casablancas Philadelphia helped my daughter's self esteem and the bonds she made with her fellow students were wonderful. I hope the friendships last forever! The instructors were engaging and very professional. Kudos to Annie- the Director, Gail and the Langhorne staff! Coming to John Casablancas Philadelphia has opened my life to something that has been a dream for many, many years. Your facility has given me the education, training and the confidence to succeed in the field of commercial, theater and film acting. I am excited to begin my journey at my first open casting call! Brian & Michael are all great instructors at John Casablancas Philadelphia. I've learned a lot and I will be coming back to brush up on everything! Learning the ways of acting pays off. Thank you John Casablancas. I really enjoyed being a student at John Casablancas. They are the best acting school, EVER! Thank you for all you did for me! I just booked two more modeling jobs since graduating from John Casablancas. The first one was the June/July issue of Girl's Life Magazine. The 2nd one was for stock photography to build my book and I got paid as well. I can't wait to see what will be coming in next. I miss John Casablancas! I thought the course at John Casablancas Philadelphia was very good for Izzy. She has a lot more self confidence now. She is really looking forward to getting into this business. It was well worth her while! I feel that my training for commercial acting at John Casablancas Philadelphia was thorough. I felt that all the instructors were competent. I look forward to attending some additional classes in the future at John Casablancas. John Casablancas Philadelphia has enhanced my knowledge of the internal workings of becoming a good actress and knowledge of the industry as a whole. I've gained great practice and more confidence in myself. It has also helped me to become more sociable and work with those I have just met! I love John Casablancas Philadelphia and I know that Kamilla love it too. I know that Kamilla will get further with her experiences because John Casablancas helped out a lot with her acting career. The teachers here are the best, they have positive minds and attitudes. This is why I choose to admire John Casablancas. Believe in the beauty of your dreams! I am so glad to have been a part of this experience. Thank you John Casablancas Philadelphia! John Casablancas Philadelphia helped me to figure out what area of acting is right for me. Their teachers really worked with the students. Classes were a good size so you could ask questions and get the question answered. Annie, Gail and the entire staff at John Casablancas are great! I honestly think John Casablancas Philadelphia is a really great school. The teachers and Gail are really helpful and honest. They don't hold anything back. Taking these courses has helped a lot, gave me good tips and lots of experience. I would recommend John Casablancas to anyone! John Casablancas Philadelphia is an amazing place to learn modeling and acting. The teachers are blunt and very educated with what they do. I enjoyed taking my classes here. It has helped me learn a lot of tips and methods. I love John Casablancas! I am in my 3rd month at John Casablancas Philadelphia and I cannot say 1 bad thing about my experience here. I am always excited to show up for the class because of the welcoming nature and atmosphere. Recently, I was cast on the tv show, "Do No Harm" because of John Casablancas and I am excited for more opportunities to display my talent across the world. I look forward to completing the course and bettering my career in the entertainment industry. Thanks, John Casablancas. My John Casablancas Philadelphia experience is that my daughter, Dana has more confidence with herself. I saw her throughout the program how her personality, confidence and charisma had been improved and strengthed so so much. So we as parents are more then grateful for the good input that John Casablancas has given my daughter. Thank you John Casablancas staff! Toni has aspired to become a model since she was 11 years old. The John Casablancas Philadelphia experience has enriched her life and strengthened her committment to becoming a model. The John Casablancas experience has also taught Toni to trust the process and believe in yourself. The last three months at John Casablancas Philadelphia has been a great experience for me. It has allowed me to release my inner self to be more confident. The instructors are very imformative. I enjoyed each and every moment here! Thank you! We had a great experience with John Casablancas Philadelphia. Cole had an interest in modeling and acting but we didnt' know where to start. John Casablancas was an excellent starting point so we knew our options. If you are serious about a career in acting or modeling John Casablancas is the place to start! Its always wonderful starting something new and exciting with your child. I know she's excited and I can see her coming out of her shell. Its a great experience! Thjanks John Casablancas Philadelphia. The classes at John Casablancas Philadelphia are informative and teachers really care about the student and the sucess! I come to know the John Casablancas Philadelphia center to be true in fulfilling their mission in bringing out the talents and gifts wihin their models and actors. John Casablancas is a legitimate establishment within the industry and I highly recommend John Casablancas for all ages, professions, cultures...etc. Good for anyone looking to improve their personal image and self esteem. We have had a tremendous experience with John Casablancas Philadelphia. Katie has had a great time while learning a lot in each class. The experience has made a noticable difference in her self esteem, confidence and how she carries herself. I feel like John Casablancas Philadelphia has given my daughter more self confidence in herself. She has learned how to apply make-up and skin care which is very important for a 13 yr. old. She had a great experience and made lots of new friends. I think this program can really help in pursuing in this type of career. The staff are really professional in what they do. They are honest in telling you if you are ready. Thanks John Casablancas Philadelphia. John Casablancas Philadelphia helped Jordan to come out of her shell and really show her personality. She loved doing the photo shoots and is looking forward to moving forward to bigger and better things because of the wonderful training she recieved from the fabulous staff! Prior to taking the Preteen Acting class at John Casablancas Philadelphia, we knew nothing about the acting field. As a parent, I fell that I learned a lot of valuable information about the business and what to expect. The classes gave my daughter the opportunity to stand up in front of the others and recite her lines. She was pushed to repeat it until she got it right. I feel this is a great experience for her and it built up her confidence. Our experience at John Casablancas has been a blessing. Our daughter has grown so much and her confidence has grown as well. The entire staff is very loving, caring and helpful. Their professionalism is outstanding. I recommend John Casablancas to anyone who is serious about this career. Found it very good to know my daughter found a place where she was accepted and taught about the craft she chooses to do in life. John Casablancas was a wonderful experience for me and my child Princess. Thank you to the entire John Casablancas staff! I will miss everyone at John Casablancas. I love you Annie, you have the best school ever. I wish I knew about this place when I was younger! Love the program, my daughter broke out of her shyness and blossmed thanks to the teachers at John Casablancas. Also love Annie, very sweet, down to earth and very honest. Would suggest this to anyone. Thank you!!! This has been one of the most fun and exciting experiences ever! Annie is very gifted! The instruction was very professional, helpful and friendly. The photographers are exceptional. I was especially impressed with Chad. Erin takes her work here at John Casablancas very seriously and we are hopeful for her future in this business! The course was great as well as the teachers with special mention to Robert & Brian. This has been a very good experience for my daughter. She had a very good time with other classmates and really progressed throughout the classes. The school was a great experience. Not just for the lessons preached from the books but also for the lessons you can't find in any textbook. John Casablancas has been hands down one of the best experiences for me! I have gone through other classes in the pst but John Casablancas really prepares you for what is out there. Everyone is so helpful during class as well as when you start getting jobs. I am getting ready to do couture fashion week this spring and John Casablancas and Annie have been there every step of the way. I don't know what I would do without them! John Casablanca's Modeling and Acting was a great experience for my daughter. She has improved her acting skills and it has taught her about the world of acting. She is now business and agency ready. It makes me happy to know my daughter may have a future at acting! Alyce's acting skills have definitley been cultivated since she has attended John Casablancas. I've also noticed that her confidence levels have improved. She does my make-up for me when I go on dates with my husband and has even shown me quite a few tips! Overall good experience at John Casablancas. My son loved Robert and Michael as instructors and Julie as photographer. Andrew has really learned a lot from the Preteen classes. My time here at John Casablancas was very nice. Not only was I able to make nice friends, I learned a lot about how things work in this field and I got to see my daughter Kailey find herself and gain confidence. Thank you VERY much! I miss you aAnnie nd John Casablancas dearly. I just booked my first modeling job with 5 Below last Friday! It was a great experience for me. I modeled accessories like necklaces, earrings and hats. The ad should be out soon. I will be back soon to get more photos for the agency and will be shooting with Chad. I wish everyone there all the best and want to say thank you! John Casablancas has helped me to grow both as a person and as a model. The classes and the people were great and filled with useful information. It also helped me to build my confidence. This was such a good experience for me. It helped me get started in modeling, something I've always wanted to do. From runway to commercials, everything I learned here is what got me to where I am today. I just got signed with Model Management Agency and have worked to get to this point. It doesn't come easy but as long as you are dedicated and this is what you want, you can make it happen. The jobs I was booked for when I was at John Casablancas were always fun and gave me experience in the industry. This was the best way for me to get started and I am so glad I did! I just received ANOTHER booking - I will be one of eight featured talents! The client is Mid Atlantic Sports Network. Annie, as always thanks for your encouragement and support! John Casablanca's is truly amazing. Even though I have been here a short time, I already love it. WIthout a doubt, John Casablancas provides a full service to what ever their students may need. I love all my instructors. Thank goodness I found John Casablancas. Wish I would have sooner. I really like it at John Casablancas, people are friendly. Also at John Casablancas they are working with you to make you become a better actor and model. It is still early, at the end I'll find out but I really have a great feeling about John Casablancas! My experiance here at John Casablancas has been very fun and has helped me a lot thus far! I loved the PreTeen program so much when I took it 2 years ago, that now I am going back to take the teen classes! This was such a great experience which opened so many doors for me in the industry. I recommend this program to everyone who hopes to make it as a model/actor! I just passed the test at John Casablancas, the insructors are great and helpful, they are truthful, but nice and just make the classes fun! I always wanted to be a model and this really helped me. I know it's hard work now and i'm willing to do it because I love being in front of that camera and even though I was nervous the first time, I am not anymore, it feels like I was born to do that and be there. i love to model and i feel like it's my thing, i didn't really like acting and thought it was a piece of cake, but it's not it's hard and I think I'm willing to give it a chance, but way after I start modeling. Next week, i will be graduating and then meeting with the agency. I can't wait! I really think I have what it takes and I'm so confident now! Hopefully soon you will be reading my success story on here! thanks, John Casablancas. I really enjoyed the instructor. She was an interesting woman. She�s funny and a nice person. This is a great school and I�m glad I can fill my dream at John Casablancas. Great school. Instructor was informative and had a great sense of humor. I can�t wait t come back to the classes here at John Casablancas. It was great! We really improved in our commercials. The instructor is nice. I really did enjoy the orientation. I can�t wait till I start the classes. John Casablancas was highly recommended to me and I think it�s going to be great! I had fun. We worked on our commericals in Preteen Modeling. We had to project our voices. I had a great class today. I am so glad I signed up at John Casablancas! I loved the class and both instructors were very nice. John Casablancas is a great place to learn how to become a model and I am loving it! Everything was very informative. Orientation was very interesting and fun and I loved it! I love to do photo shoots! They are soooo fun and I love to do poses. The instructor is fun and great with hair! I love learning new ways to do my hair. I have to admit that I look good! Today was fun! Fast, but fun. The instructor gave good advice! I hope I have her again. I love all of the instructors at John Casablancas, but I really loved her. Today was fun. We had to dress up as characters. The instructor was really funny. I am working really hard, because I want to become an actor and John Casablancas is the place to learn how to become an actor. I feel very good today with my class and my teacher. I was comfortable with myself because I correctly did my walk. I want to work hard because I want to be a good female model at John Casablancas. We had a photo shoot. It was fun. I love it at John Casablancas! I want to become a very famous model some day. I know I will! Today I had a good time! I liked my instructor. She was very nice and I had so much fun! Awesome! The instructor is my favorite instructor. I love photo shoots at John Casablancas. I thought class was fun and I enjoyed the hands-on setting. Both instructors were awesome. I had a lot of fun. I can�t wait t get started on my career as a model at John Casablancas! Today was a photo shoot. Our instructor helped us with our make-up and outfits. I had a great time on my first day. Also, I had so much fun and I love doing the runway with our instructor. I liked the instructors and they are fun and interesting people to have me working with. I love John Casablancas so far and I want to become a super model! We spent the morning critiquing and joined an acting class to practice commercials. We did runway and improved what we felt we were doing wrong. The Female Modeling class at John Casablancas is very informative and helpful. I intend to become a model. Today�s session was cool. The best instructor ever helped us apply make-up correctly and gave us helpful tips on the right attire to wear during our shoot. I liked the instructor. She was really nice and walked us through everything we needed to know. John Casablancas has been a great place to learn. I enjoyed my time here today because I learned how to have more confidence in my walk and that was something that I was lacking! Today we had our photo critique with our photographer. We did two scripts with TV prep class and the instructor helped us improve our walk. She told us what we needed help on and how to relax and confidence in yourself as your walking. Today�s class was very interesting and fun. I learned how to apply make-up and how to pose for the camera. What colors go well with my skin tone. How to smile. It was awesome! It was fun today when we did our commercials. And when we did runway I got a lot more confident with my walk. We practiced walking the runway with out jackets and I got a lot better at doing it. Also we did the photo critique. We had our photo shoot. The instructor is the best! Also the photographer! I love John Casablancas. Had lots of fun and the instructor was really nice! We looked at our pictures and picked the ones we wanted. We went into another class and did commercials. We did a mock go-see. We did runway for the rest of the way. It was overall a good class! I loved today! Both of the instructors were great in the TV Print class. Instructor was good. She filled in for our original instructor. She was very good at explaining everything that we need for at photo shoot. Today we had out photo critique and acting in the morning. The acting was fun and I have a better talent for acting. In the afternoon, we did runway and it helped me gain more confidence of my walk. The instructor gave good advice. The photo shoot went well. I enjoyed it very much. I am enjoying all of my classes at John Casablancas. It�s a great place to learn what you need to know to become an actor or model. The instructor was really nice. We learned a lot about make-up and poses. I love the classes at John Casablancas! We had great instructors and they really helped me a lot in the TV Print class at John Casablancas. All of the instructors are great here! The instructor was awesome! She was truthful and told us and explained everything to us that we need to know. The photo shoot today was great. I had a lot of fun. The instructor is the best instructor at John Casablancas! I love her! I really love the help that the John Casablancas teacehers offer us. I think that this is a very good experience for me just to express myself in front of the camera. Thanks Ms. Dee for being a good help. I had the pleasure to learn and broaden my craft at John Casablancas in Langhorne,Pa. Their acting coaches were great and showed me different skills that to this day have taken me far in my everyday life. I would refer anyone to this school if they asked. Thanks to everyone at the school. You really taught me to better myself and never cut myself short. John Casablancas is the best school ever. It works and its fun. I cant wait to finish so I can show the world what I have learned at John Casablancas. I love Megan's class. She gives us a lot of instruction and details about anything and everything we are learning and takes the time to hear and help us. I am very impressed with the teachers and staff at John Casablanca in Philadelphia. My daughter has learned so much from them. She has more confidence than I have ever seen in her. She was in the TV Print class and she was really impressed with the way Mike explained acting techniques. Gail is my girl, she is always up front with the students and really down to earth. Thank you John Casablancas you are definitely worth it. I�m taking the TV Print class and I'm amazed with how much I'm learning about so many different areas. Everything I'm learning about fashion, makeup, communication, nutrition, etc. is going to help me in all different ways of my career and personal life. I'm very happy I made the decision to attend John Casablancas. Very informative class. Sharon was great with the improv video we did. I thought I would be nervous in acting classes but I was wrong - I can't wait until my next class! I really liked doing the runway. I really liked Janet. She�s very informative. I thought the class was good. We did improvs and doubles. She showed me how to put on make-up since I never did it before. She did a good job. Sharon was great. She�s the best. I had a good time with her. She is nice. I learned about SAG and the different types of acting unions, auditions and script preparations. Sharon was a very good instructor. She explained herself very well on how to put on make-up. We learned improv and make-up techniques. A lot of important information in the handouts! It is easy and I�m getting the handle on the runway walking and photography posing. Mike helped a lot with understanding how to present the right kind of monologue. I feel a lot more confident now. I�m really enjoying the TV Print class here at the John Casablancas Center. I am learning so many ways to improve my confidence and my image. Casablancas is the expert in these things and the instructors are very patient. We practiced runway, monologues and our commercials. Janet is a great teacher! She�s very patient and understanding with her students! I love my classes at John Casablancas - there is so much to learn but the classes are informal and interactive. Modeling is my dream and I'm working hard at everything I need to know. Sharen was a good instructor. She told us what we needed to hear, good or bad. So I�m really glad to have her as an instructor. My modeling classes are very worthwhile as I'm learning way more then I thought I would. Sharon is motivating. Improvs are challenging but fun. Sharon�s cool. She talked to us about unions and stuff. It was good. I'm determined to become a better actor and get serious about auditions and headshots. I really liked my class today. Photography posing and fashion shots. I can't wait until my photo shoot. Did improv for the first time! Actually enjoyed it! Learned about unions and casting agencies. Very useful information. Today we learned a runway routine. We also practiced our commercials. I enjoyed both classes. I also learned a lot. Both of the instructors were telling it how it is. They were also very nice. I learned a lot from both of the instructors. Also glad we had a runway show. I had fun going down the runway. Robert was really nice and gave us a lot of information. I had fun and both of the instructors were nice and cared. I�m taking the TV Print class and it�s great! I believe my class was very good. The improv was helpful in many ways. The instructor was very helpful in making it a great learning experience. Robert is one of my favorites so far. He�s kind and very informative. Jannet taught and reviewed the runway. She also told me what I need to improve. Thanks! Larry was very nice and gave a lot of good advice. I lalso learned a lot from Janet and I learned quickly with her. My acting/modeling classes are going very well. The class was fun and my photos were great! All the hard work I've been doing in my modeing classes really paid off - modeling is what I want to do. We had fun with improv games and we saw a fashion show. Preteen is my class here at John Casablancas. I love it here so much! I really loved this acting class. The improvs are my favorite part. They are so much fun! And I love the fact that there are only a couple of others, but still enough that you have to come out of your comfort zone. Today�s class was a lot of fun and I had a good time. Our instructor was very formal and a helpful teacher. The acting classes are helping me out a lot. The pictures of me were great. My mom loved them She was so impressed. I looked so beautiful and feel like I'm looking like a model. Thank you! Our instructor is very helpful. And helped me learn different things to use on runway and taught me new things that I will experience in the future. He was very good with telling us things and helping with acting skills. I enjoyed both of them. Today was great! I love having Stephanie as a teacher. She makes us feel very welcome and makes the class feel comfortable. I feel like when people call me lazy, I�m really normal here. Sounds stupid, but I look forward to coming here. My classes at John Casablancas are the best thing I've done in my life. We have learned to improv and understand casting termimology. My acting is improving with each class. Improv is fun. I enjoyed the fashion show. My pictures came out good. Today I felt like today I did a really good job on improvs. I think my acting slowly is coming out more and I�m beginning to feel more open and I�m glad it�s happening like that. I also think our instructor is doing a good job with letting us open up more towards everyone. I liked doing improves. Also, Mo is really good at helping us with commercials in the TV Print class at John Casablancas. I really enjoyed this class. I�m very pleased with the monologue I received and I�ve discovered that I really enjoy soap work over commercial work. Mike was great and offered great advice. I�m in the TV Print class and Mike is the best instructor ever! Everything is just fine in the TV Print class. Glad to be here and learn so much from the great instructors. My first time here today wasn�t as stressful as I thought it would be. Ms. Gail was great and she made me feel very comfortable. She made me understand that she�s serious about everything but still I need to enjoy myself. I was good at the listening because I understood the pattern of information that she wanted. I�m happy that I�m taking Advanced Modeling classes while I can and I�m very serious about learning as much as I can. Orientation was great and I enjoyed the two instructors. I am enrolled in the TV Print class and am looking forward to the rest of the sessions. I just wanted to thank Mo and Gail. They were very friendly and made me relaxed. I am in the Television and Print class. Everything was fine in my modeling class this week. I enjoyed myself and can�t wait for next time. Gail was a great instructor. I enjoyed her presence and honesty. She is hilarious. Mo was very nice. Both instructors got down to the point. Casablancas is all about helping each and every student achieve their maximum potential....can't ask for more! Everything was great. I enjoyed the whole thing, even the introduction. The instructors were really fun and I learned a lot for the first day. I'm happy I have this chance to learn more and improve my modeling abilities. I absolutely loved Mo and Gail. They are both really nice. The classes are geared toward helping each of us develop our modeling and acting talent. I had a great time learning how to do a runway walk. The instructor was a good teacher! Classes were very instructional and encouraging. I learned a lot already and am excited to start learning more about modeling. I had a great time. The runway turns and different ways of walking and the practice was fun. The runway class was fun. I am in the TV Print class and I think it�s going to be great! First, I want to thank Gail and Mo for their understanding with my late arrival to orientation. I found Gail very informative. Mo was awesome to work with as well. I found both very laid back and easy to work with. Classes at Casablancas are going to be fun and educational. I love John Casablancas Modeling and Career Center because they helped my gain confidence in what I do in everyday life. I love the school and especially the runway experience. I couldn't have enjoyed it more! I hope when new students come they feel the same way I do! Thank You John Casablancas. The best decison, as parents, that we've made for Ashley, was to enroll her into the modeling and acting program at John Casablancas. We are excited to watch her grow as a young woman. Her confidence and self-awareness make us proud. She no longers worries about what her friends are thinking of her clothes or anything else that teenagers generally spend most of their time worrying about. She is now focused on her future and has matured beyond our expectations. She is learning important skills that will serve her well in life. Her exposure to the modeling and acting worlds has been so very valuable as she now understands that it takes hard work, dedication, training and knowledge. The professionals at John Casablancas have been nothing but encouraging, honest and supportative. It's too early to know if Ashley will choose to model or act as a career. But, regardless of what she decides to do in life, her John Casablancas experience has proven to be one of the best investments we have made in Ashley's life. Thank you! My last photo shoot was the best experience of my life! I was really prepared and knew exactly how to pose in front of the camera. The photographer was so enthusiastic and motivating that I really gave it 1000% to make it my very best shoot. I couldn't have done so well if it hadn't been for the great teachers I've had. They really pushed me to practice my posing and to remember to have fun! It was an amazing experience for me. I can hardly wait until the photos are ready for me to see! Thank you for teaching me how to take care of my skin and how to apply my makeup. My skin has improved a lot since I learned how to use the right products and my makeup looks awesome! No more heavy black kohl rimmed eyes! My makeup is natural looking and I'm now looking forward to learning how to apply makeup for photography...Your makeup classes are amazing! I enrolled into the John Casablancas classes to improve my confidence and public speaking skills. I am taking the acting classes to accomplish these goals. I've already seen a lot of improvement in both areas. I am very optimistic that once I graduate from the program, I'm going to be a much better communicator in my regular employment. Thank you. We thank you for all that you have done to support Robbyn's desire to act in TV commercials. We are grateful for your encouragement and never ending support that you have given to Robbyn. Her talent has increased dramatically and her confidence has increased beyond measure. We believe that you offer the finest training, especially for beginners. As parents, we were really lost about how to go about getting Robbyn into acting. We are so pleased that we chose the John Casablancas organization to introduce Robbyn to the necessary skills and techniques required to enter the business. The benefits of her training will truly last her a lifetime in anything she ultimately chooses to do with her life! I've learned that modeling clients want to hire people with experience or training. They want to hire people who know what they are doing. My classes at John Casablancas are teaching me everything I need to know about modeling. I can't wait to start modeling locally and getting lots of experience so that I can have a modeling career. The John Casablancas statement, "It's In You. We Just Bring It Out!" is a true statement. They did it with me! All my family and friends can't believe all the positive changes I've made in my life since joining John Casablancas. Thank you for bringing out the best in me! My classes at John Casablancas are amazing. I'm learning so much information. It makes me feel good to go to class and work with people who are so knowledgeable about the business. I appreciate their encouragement and interest in me. I know when I finish my classes that I will be in a much better place to begin my modeling career. The John Casablancas Center is the place to go if you want to learn the right way to enter the modeling and acting business. They are the experts without question. All of my classes are informative with special emphasis on personal attention. I have advanced my knowledge of both fields beyond my wildest dreams. I am much more confident about my talent now that I've been exposed to the skills necessary to be successful. Thank you John Casablancas! I really appreciate Mike's ability to teach on a level that everyone can understand. He makes the classes informative and fun. He has a unique way of getting each of us to give 100% during the monologues. I learning so much about acting and feel like it is really going to help me in pursuing my dream of becoming an actress. The photography posing classes are incredible. I didn't know there were so many ways to pose but I'm learning as much as I can from the best teacher and I can't wait until my first photo shoot! I'm ready to start posing!! I really enjoyed learning about how to express my personality in front of the camera. Thank you for a most informative class. My classes have been life-changing for me! I've learned so much useful information in my modeling classes. I've always wanted to be a model. My parents encouraged me to go to the professionals. After all, the John Casablancas name is the most famous name in modeling! In just a few weeks, I will be graduating from my modeling program. I feel completely confident about life and especially about my abilities to model. I owe all of my confidence to everyone at John Casablancas. Thank you for making my dream of modeling come true! I've never had so many people "cheering" me on and wanting me to do well in life! I thank you for everything you are doing with me to help me accomplish my goals in life. I've never enjoyed anything as much as my training classes at John Casablancas. The modeling and acting classes are beyond informative. I think everyone who is interested in improving their confidence or any other area of their life in addition to learning about the modeling and acting worlds, should take this training. It will make you a confident and better person. I love my pre-teen acting classes. I want to act in television commercials. Everything I'm learning at John Casablancas will help be become a better actress. I love acting in the skits in class. It is helpful to learn the right way to do things. My teacher Mike is very nice and patient. I graduated from the John Casablancas Center in Langhorne about a year ago. My training at John Casablancas has helped me in my personal life in ways that are hard to describe. I wasn't an outgoing person when I first started my classes. Over the course of the program, my confidence increased and now I'm a very outgoing and confident person. I'm no longer apprehensive about new situations or new people. In fact, I'm the first to step up and say hello! My fashion sense improved dramatically throughout the program. I now know what style of clothes look good on me and what my best colors are. I take a lot of pride in how I dress now and my co-workers always say I look stylish. I'm a more graceful person thanks to the runway classes. I learned how to apply my makeup properly so that I look natural. My list of improvements could go on and on. I want to say thank you to everyone at the John Casablancas Center. You changed my life for the better! I had an awesome time on the runway today. I love the runway classes. I've learned so much about how to walk a runway and model clothes. My posture has improved 100% (which is a good thing) and all my friends are telling me my confidence has improved a lot. I feel really good about myself since I started my John Casablancas classes. Thank you for helping me to achieve my goals of being an actress. The information I am learning is so important. I know that by the time I finish my program, I will have learned what it takes to have a successful career in the acting business. Everytime I attend class, I am amazed at the amount of valuable information, techniques and tips I'm learning. This is one of the best things I've ever done for myself. Thank you! Thank you to all the instructors at John Casablancas. Your positive influence on my son is appreciated. He is enjoying his classes. I have seen a big difference in his attitude since he joined your program. Thank you for your support and guidance. I LOVE my John Casablancas tote bag and John Casablancas tee shirt! I'm proud to be part of the John Casablancas Center in Langhorne. Everyone is so professional and friendly. My classes are cool and the teachers are very nice to everyone. Today was my first day and I had so much fun! I've always wanted to be a model but I'm a too short so I'm going to be an actress because there are no height requirements to act! My class was very insightful and I'm glad to have this chance of learning about the acting business. I love my classes. The classes are friendly, informative and conducted in a great atmosphere. Gail does a great job at teaching and keeping everyone smiling. The classes are so good, I might just take them all over again. I'm having a great time at John Casblancas. The John Casablancas Center is a great place for people to learn about the modeling and acting business. If you are serious about either, you should take the training. I'm happy I decided to enroll as I've learned so much about what I need to do to start my acting career. I would have been lost if I hadn't taken this training. Now, I'm confident that I know what I'm suppose to do so I can get those acting jobs! The instructors at John Casablancas will guide you through each step of whatever you are learning that day. They make the classes fun and simple to follow. I learned everything from skin care, makeup application, hair care, nutrition, communications, fashion, runway, photo shoots, auditions, agencies, etc., etc., etc. The list is too long to write! If I ever feel a little rusty about something I've learned, I can go back for a refresher class too. My John Casablancas experience was fantastic. I would highly recommend the John Casablancas training to anyone interested in improving their life. My runway classes are amazing. I love that my teacher makes us feel like professionals. She treats us as though we are already models. She respects us and wants us to be the best we can be. My acting classes are the best acting classes I've ever taken. For the first time, I'm learning how the business really works and what it takes to succeed in the acting business. Thanks for the practical information and for teaching me the "tools of the trade". I feel much more confident now when I go on auditions. I apreciate how everyone at John Casablancas is so supportive of their students. Everyone is so friendly and happy. My teachers are the best ever. They have so much knowledge and they make the classes fun. I enrolled at John Casablancas to improve my self-esteem and confidence. Congratulations to everyone on staff at John Casablancas for taking a shy kid and showing him how to believe in himself! I am a confident and outgoing person because of my training. Thank you very much. My John Casablancas training will open many doors of opportunities that I would not have had otherwise. I love all my classes and appreciate that everyone at John Casablancas is willing to help me. Your encouragement and guidance mean the world to me. Everything I'm learning at John Casablancas is valuable!!!! I want to be an entertainer and the things I'm learning at John Casablancas will help me reach my goal. Thank you to the John Casablancas Staff. My last photo shoot was such a rush and I just saw the photos from the shoot today! Wow, I had no idea they would be so good. I felt good during the photo shoot and was working hard during the shoot. But, I'm even more surprised that I actually look like I know what I'm doing. In fact, I look professional. All my hard work learning and practicing really paid off! My teachers were right. The more you practice the better you will be.....I can't wait until the next shoot!!!!!! Hey everyone. My name is Janelle. I've been going to classes at John Casablancas for awhile now. I have gained more confidence in myself and learned that it's okay to just be me. I don't worry anymore about what other people think of me. I'm having fun being myself and enjoying life. John Casablancas ROCKS! I was nervous about my first photo shoot. I'm happy to say it was fantastic. I put everything I've learned into play and it was a huge success. The photographer complimented me on being professional and prepared. My teacher taught me that you must be prepared, on time and professional. I think I aced the photo shoot and I can't wait to see my photos. For years, all my friends and family have told me I should be doing TV commercials. After watching TV commercials carefully and for a long time, I decided they were right and decided to give it a shot. I checked around at different acting schools but decided to start at John Casablancas because they had a good reputation. I'm very happy I chose John Casablancas. The acting teachers are the best and they take a keen interest in their students. They are constantly pushing us to do better and because of their encouragement, we are close to beginning our local acting careers. I've learned how the business works, auditioning skills, interviewing techniques, how to read scripts, analyze characters and a ton of other technical stuff - everything I need to know to have the edge during auditions. Thank you John Casablancas for helping me jumpstart my career. I love working with the photographer and doing the photo shoots. My pictures have turned out super good and I can tell I'm learning a lot about photography. Thanks to my teacher, Mo, I learning a lot about the modeling business. My daughter is taking the TV/Print classes at John Casablancas. We have been impressed with her progress and her interest in learning. We applaud everyone at the John Casablancas Center for inspiring their students to reach for their dreams. The confidence building factor is reason enough for any child to take the training. My favorite classes are the fashion and runway classes. I have a great teacher who really explains things and why we are doing certain things. She doesn't just tell us what to do...she tells us why we are doing them. It's never too late to take that important first step to change your life! I'm glad I did. I've gained so much confidence and insight into myself. It is amazing how you can change your life by being a positive person. Thank you John Casablancas and to all my teachers. The personal development aspect of the training alone is worth taking the program for! I didn't expect to learn anything other than just acting but I'm pleasantly surprised about the positive lifetime skills I'm learning too. I would recommend this training to anyone and everyone. The runway classes are the most fun for me. I like when we practice the different turns and styles of walking. Practice makes perfect and I can tell I'm improving with each runway class. My teacher is very patient and always demonstrates the different walks for us. She is very encouraging to all of us. I can't wait for the graduation fashion show. I'm almost finished with my acting classes at John Casablancas. The classes have been one of those experiences of a lifetime. The information I learned is amazing, helpful and will definitely help me begin my dream of being an actor. Thanks to everyone at the Langhorne John Casablancas Center! John Casablancas has taught me so much about everyday life things. You have to have confidence in yourself before you can be successful in life. Now, I open up to people and I'm not scared of new situations. I'm friendly with everyone and not worried about whether someone will like me or not. I don't feel like I have to fit in with everyone. I just need to be myself and everything else will fall into place. You guys have it going on! I'm having the best time learning about the acting business. I'm psyched about all the techniques I'm learning for commercial work. I've got the talent but I didn't know how the business worked and I lacked in the technical skills that are necessary for auditions and interviewing. By taking these classes I feel like I've accelerated my career by a couple of years as I won't be making the same mistakes a lot of other people make because they don't know how the business works. I graduated a year ago from John Casablancas in Langhorne. I have used everything I learned at John Casablancas not only in my professional life but in my personal life. I really learned a lot about myself and my confidence increased radically. I'm a different person since before I took the classes. Thank you to everyone at John Casablancas for teaching me the skills that are necessary to succeed in life! You are the best people who truly care about the success of their students. My acting classes are incredibly cool. I'm learning so much about TV commercials. The scene studies and prop utilization classes were very informative and important. I even like the classes where we are learning how to do character analysis'. By the time I finish my program, I'm going to know what I need to know to start auditioning for commercials. I take the pre-teen classes at John Casablancas. Today I learned about kids composite cards and headshots and how to use props on camera. My class is fun and all of us like our teacher. He is nice and explains things to us so we understand what he is saying. Next class is my photo shoot for my headshots. Yeah! I love the hair classes. I have crazy hair that is hard to style. My teacher taught me what styles will work with my type of hair and how to style my hair. Now, I don't have to spend an hour every morning before school working with my hair! It's so easy to manage now and I'm getting a lot of compliments on my hair. I can't wait to take my other classes! I just want to tell everyone that I think John Casablancas is the best place to take modeling and acting training. I never thought I would be having so much fun and learn at the same time. I love my teachers. My classes are the best classes ever! I'm learning tons of stuff that will help me no matter what I decide to do in life. All my friends are telling me that I'm not shy anymore. Thank you John Casablancas for helping me. The John Casablancas programs are rewarding in many ways. I'm learning about the modeling business and what I need to do to prepare myself for a future in modeling. It's hard work but it's also a lot of fun! The teachers are committed to the students and helping them achieve their goals in life. John Casablancas teaches that anything is possible in life. You just have to learn the skills and apply yourself and then have the confidence to go after what you want in life! I'm learning exactly what I need to do with myself so that I can be successful in life. The Langhorne John Casablancas Center is a professional training school for aspiring models and actors. I researched many modeling and acting schools before coming to John Casablancas. I definitely made the right choice. I am very impressed with the instructors and their professionalism and dedication to the students. My classes have far exceeded my expectations. They teach you about the modeling and acting "real world". The information is cutting-edge and the instruction is interactive. If you want to learn from the best, then I would recommend John Casablancas to anyone interested in modeling or acting. I will never forget my John Casablancas experience. I just graduated from the John Casablancas Center and even though I'm sad that I'm finished with my classes, I'm very excited about starting my modeling career. I know that everything I learned will help me in becoming a professional model one day. You guys are awesome! I hope to pursue a career in acting this year. I'm still in high school so whatever I do will be part-time until I graduate. Because of what I learned in my John Casablancas acting classes, I feel very confident that I will ultimately become successful with acting. Thank you for everything. I recently graduated from the John Casablancas Center in Langhorne. It was the best experience of my life. Thank you for everything. I'm a much better person for taking the classes. I learned so much about the modeling business and I'm now preparing to start my career. Mike is such a cool dude! His classes are so much fun and exciting. I learn so much everytime I go to class. The improv classes are my favorite as you never know what is going to happen in class. Mike keeps everything moving along at a fast pace. Thanks for a great class! I was scared when I first came to John Casablancas. But, as soon as I walked into the front door, I wasn't scared anymore. Gail is so nice to everyone and everyone makes you feel at home. My teachers are nice and make you feel comfortable in the classroom. I'm glad I'm taking classes here because I'm learning a lot everytime I come. It's fun too!!!!!! The photo shoots are so much fun! I love being in front of the camera and working with a photographer. If I never model a day in my life, the good news is that I will have learned how to take a GREAT photo! Thanks for such a wonderful experience. I've been trying to model for a couple of years now. Unfortunately, I wasn't successful in getting any work. Then a friend recommended John Casablancas training to me. Now, that I've taken a few classes, I understand why I wasn't getting any modeling jobs. I didn't know what I was doing and what I was doing was all wrong. I'm in the hands of the professionals at John Casablancas. I am so much more confident that when I finish my classes, I will be able to start my modeling career in the right way. I am a recent graduate from John Casablancas in Langhorne, PA. I really enjoyed going to classes and learning about the modeling industry. The skills I acquired and the confidence I learned have had such a positive influence on my life. I owe you a sincere debt of gratitude for everything you taught me about myself and the modeling industry. I would recommend training at John Casablancas to anyone who asked me! It would be too long of list for me to describe everything I've learned at John Casablancas but let me tell you this. It will be a life-changing experience for you in every area of your life. You will be amazed at what you will learn regardless if you go for modeling and/or acting. There is no way I could launch my career confidently if I had not taken my training with John Casablancas. Thank you! I didn't know that there was so much to the world of modeling and acting. I figured if you were pretty or talented then it was just a matter of when it would fall into place. I was wrong! Being pretty or having talent isn't enough to become successful. It first starts with your personality and then being responsible in life. If you want to model, you need to know so many things like how to photograph and work with a photographer or how to walk a runway (there are different runway walks), you need to know how to audition and interview effectively...Same for acting. You might have talent but if you don't understand how the business works, your talent isn't going to be all that helpful. I am so grateful for making the decision to attend classes at John Casablancas. Everything I'm learning will be so beneficial to me as I pursue a modeling and acting career. I love the energy in the classrooms at John Casablancas. The teachers are bubbling over with enthusiasm and encouragement. The John Casablancas Staff is amazing and they are very supportative of their students. They are right when they say "It's In You, We Just Bring Out The Best".....They are very good at what they do with their students. Hi, my name is Ruth. I originally signed up for classes because I wanted to model. I'm taking the TV/Print classes. Everything I'm learning is helping me to become a better model but I've learned something else that was a surprise. I like TV commercials! So now, I'm really concentrating on both modeling and commercials. I love being on a runway and working with a photographer but I also love being on camera "performing". I learned that you can model and be an actor at the same time. I'm excited about what my future holds for me. Thank you Mr. Casablancas and the staff at John Casablancas Langhorne! I'm not embarassed anymore getting up in front of other people! My grades are improving at school because I don't mind getting up in front of class and speaking. If it wasn't for my John Casablancas training, I would still be embarassed to be in front of people. I'm recommending the John Casablancas training to all my friends. The John Casablancas name is famous for modeling and acting but I didn't realize how helpful it would be for other areas of my life. It's the best thing I've ever done! I love my runway classes. I get to express my creativity on the runway and really let my personality shine. It's so much fun learning how to show the clothes while runway walking...there is a lot to learn but I'm like a sponge. I'm soaking it all in and I can't wait to do it professionally. I didn't realize when I joined John Casablancas that I would make so many new friends. We have so much in common and I like that we help each other out in the classroom. It seems everyone wants the other person to do well too. I really like coming to my classes. I'm learning a lot about modeling and acting. Everyone at John Casablancas is very nice to me. I appreciate what John Casablancas is doing to help my daughter. She is learning how to think for herself and not be influenced by peer pressure. If that is all she learns in her program I will be forever indebted to your company. Thank you very much. I learning so much about my personal development and confidence. The skills I'm learning at John Casablancas will help with my future and everything I choose to do with my life. Each class is a new experience. The classes are so upbeat. There is a lot of energy at John Casablancas. The teachers are incredibly talented and willing to share everything they know with the students. We are so pleased with Robin's progress and signs of improvement. She was timid and nervous when she would be in new situations. We've seen a big difference in her attitude and willingess to enter into new situations. We are very happy she is a John Casablancas student. I enjoyed doing the mock auditions and interviews. It is one thing to be told what to expect but it is so much more helpful to actually role play an audition and interview. I appreciate that John Casablancas understands how important it is to put the student in a real life situation. I can' wait until we do it again. The acting improv classes are so much fun. Mike is such a fun teacher. He can really get everyone to relax and focused at the same time. The photo classes are so exciting for me. I love learning how to pose in front of the camera and I'm developing a "camera personality"....My teacher is so into helping me learn to be comfortable in front of the camera. I've worn my hair in my face and over my eyes because I was hiding behind my hair. Since I started classes at John Casablancas, I'm no longer hiding behind my hair. Guess what? I've cut my hair and now I have a syle that flatters my face shape and is more appropriate for the type of hair I have! My confidence has improved a lot and I don't need that long hair anymore to hide behind!!!!!!!! I love the fashion classes. I'm a clothes hound but my parents and friends would always tell me "you need to learn how to dress better". Now, I'm learning what syle of clothes look good on me and what colors look the best on me. I actually have an "image" since I've started my classes at John Casablancas. I wish I had joined John Casablancas before now. I wanted to join last year but put it off because I was nervous about my shyness. I finally got the courage to take the first step and I'm very happy I did. Better late than never! Everyone at John Casablancas is encouraging and motivating. They believe in me and they are doing everything to help me. I've only had a few classes but my confidence has increased more than I ever thought possible. Now, I'm not even thinking about my shyness! What shyness? It's gone forever!!!!!! The photo shoots are fantastic. The photographer is patient and motivating all at the same time. I'm glad I paid attention to my photo posing classes and practiced at home in front of the mirror. I felt really comfortable working in front of the camera and I can't wait to see my photos. Thanks Mo for all your help. My runway classes are getting better and better. My teacher started us out learning the basics of walking and working on the runway. Once we learned how to walk properly, my teacher is advancing us by learning turns, how to work on the runway with another person and how to model different types of clothes. I didn't know there was so much to learn about runway walking. I'm glad I'm taking these classes so that I know what I'm doing when I go on auditions. It's important to learn how to develop a "runway personality". My runway class was life-changing. I learned today that by having good posture and walking a bit more slowly, my whole character changed and my clothes looked so much better on me! Talk about a confidence booster! I feel blissful about my John Casablancas graduation this afternoon. I will never forget John Casablancas and everyone at the Center who helped me come so far. It was the best experience I've had in my life. I learned so much from all my teachers. A BIG thank you to each of you for taking such a personal interest in my John Casablancas education. I love you! The auditioning for dialogue and non-dialogue TV commercials was one of my most favorite classes. There is so much to learn about auditions and the professionals at John Casablancas know everything there is to know. I paid close attention today as I want to get acting jobs once I start auditioning! I take acting at John Casablancas. Every week when I leave class I say "that was my favorite class". Then when the next class is done, I find myself repeating "that was my favorite class". The knowledge of the instructors and how they teach their classes is the best I've ever seen. The instructors want each student to take away 100% of everything they are teaching. It is amazing how they can get everyone participating and interacting with each other. In my opinion, their dedication to their students is a rare thing in teaching. Today was my graduation from John Casablancas. I'm happy to graduate but sad to be leaving my class. I grew so much as a person. The changes in me during a few short months is beyond words! I took the TV/Print program and everything I learned will help me in anything I choose to do with my life. My John Casablancas experience is one I will never, ever forget! I love the makeup classes. Who knew there were so many different makeup applications depending on daytime, evening, black and white or color photography and TV makeup? Now, I know the right way to apply my makeup depending on the situation I'm working with. My teacher was awesome and patient and very knowledeable. What can I say but THANK YOU for everything you are teaching me. I look forward to attending classes every other Saturday. I am a modeling student with hopes of doing modeling on a part-time basis. I feel so much more confident having learned what it takes to be successful in the modeling industry. The information I've learned is important to anyone who wants to model, whether it is part-time or full-time. The acting instruction at John Casablancas is thorough and comprehensive. I'm very impressed with the level of instruction. I'm a beginning actor and the information I'm learning will enable me to enter the local acting market with more confidence and knowledge. I would wholeheartedly recommend the John Casablancas acting program. My classes are exhilarating. The classes are such a rush. I'm so excited about everything I'm learning. I feel like the world is opening up to me with all this new information. My classes at John Casablancas are the best. My instructors and everyone on staff are very helpful and willing to help anyone who needs extra help. I really feel like the instructors want me to be the best I can be. Thanks to everyone at John Casablancas! I loved the dressing for success class! I learned so much about the importance of dressing appropriately and how to dress so that I make good first impression. I am an acting student at John Casablancas. I learned so many tips on how to write my acting resume and better prepare myself with the interviewing techniques that Mike taught us. The classes that deal with agencies, managers, self promotion and the unions was very, very interesting and quite helpful to me. The photo shoots and photo critiques are very helpful with improving my ability to work in front of the camera properly. My instructors are motivating to me because they want me to learn the right way to photograph. The interviewing techniques for auditions is invaluable. Thank you John Casablancas. I go to John Casablancas in Langhorne. I love walking the runway and speaking in front of the camera. I want to act in TV commercials and everything I'm learning will help me become a better actress. I take the pre-teen modeling classes at John Casablancas. My favorite classes are the etiquette and photo posing classes. I like coming to class. My teachers are nice and helpful to everyone. Thank you John Casablancas for changing my life! The things I've learned in just a few short months have had a positive impact on my life and those around me. I'm doing much better in school because I've overcome being nervous and shy. Now, I take the initiative to start a conversation and I'm a better listener to my friends and family. I have the confidence now to begin my modeling career which is something I've always wanted to do. Thank you John Casablancas for everything! The improvisational acting is exciting. It really forces you to be creative and overcome any fears you have about performing in front of people. My teacher is amazing and helpful. He has a lot of knowledge to share with his students. My next class is auditioning for dialogue and non-dialogue commercials. I can't wait to learn more. I'm almost finished with my classes and I don't want them to end. I've made so many new friends and we've promised to stay in touch after our classes end. I've learned so much about myself that I can never thank everyone at the John Casablancas Center enough for helping me overcome my shyness. I have my agency review in a few weeks and I'm very excited about my modeling opportunities. I can't wait to put into practice everything that I've learned from John Casablancas. I like my photo movement classes a lot. There is a lot to learn about how to work in front of the camera. I didn't know there was so much to learn. My photo shoot should be much better now that I know how to "communicate" with the camera. It was fun doing improv and being videotaped while doing the improv. The videotaping is a fun teaching tool as I was able to see myself on camera and learn what to do to improve my technique. Chris is a very good teacher and he helps the students to relax so they can learn. I had my first class today and one of the things I really liked about my class was the personal goal setting. Gail is so nice and encouraging and funny too! I also had my introduction to the TV commercial market and learned about commerical copy and slating techniques. I just know these classes are going to help me in everything I want to do in life. I just finished by 3rd session which covered script and copy techniques and television acting skills. Wow! I learned a lot in class today. Next week I have a photo shoot for my commercial head shots and will be working on camera doing shared scenes. I'm excited about everything I'm learning as it has really helped make me more confident about an acting career. For the first time in my life, I'm starting to feel more confident about myself. The acting and modeling instruction is important because it teaches you the skills you need to be successful in both businesses. I'm learning so much more than I thought I would but surprisingly enough, I'm learning all about myself too. This is an important first step in my dream to become an entertainer. I'm making new friends, laughing a lot and opening up about myself. I am very comfortable in class and my instructor is fabulous. I didn't know I would learn so much about the modeling and acting business. Today's class was very enjoyable. Everyone in my class is positive and we help each other in the improv classes. The acting class is exciting and I'm having a great time learning. I feel very encouraged by what I'm learning in class. I really like the makeup and runway classes. I'm learning all about how to apply my makeup properly to make the most of my facial features. Runway is a blast and I'm learning all the runway turns and how do walk gracefully. I can't wait to learn more about the modeling business. My teachers are very, very cool. They really know what they are talking about. My runway class was soooooooo exciting as I didn't know there were so many different ways to work the runway. I'm going to practice hard this week so that when I go back to class I will have improved my walking and my teacher will be proud of me. She is very nice and patient with all the students. My recent class was interesting and fun. I had fun interacting with the other students and I'm ready to keep practicing my monolgoues. I am excited to progress with my monologue classes so that I can be successful in acting. We are so impressed with the caliber of instructors and instruction at the John Casablancas Center. We are seeing improvement in our son's acting skills as each week goes by. He loves going to the Center.We congratulate you on doing a superb job with your students. The John Casablancas Modeling & Career Center in Langhorne is the greatest. I'm really into the acting classes and feel I'm 100% more prepared for auditions than before I started classes. Everything I'm learning is up-to-date techniques and the instructors are professionals in the industry. The interviewing skills Chris taught for auditions was especially informative. The makeup classes are so helfpul. I've learned a lot of things I didn't know before I started the program. My runway class is so much fun and the photo shoots are very exciting. I can't wait to see how my photos turn out. I'm really impressed with the amount of information I'm learning in my classes. All the auditioning skills and interviewing skills are fascinating. I have a wonderful instructor who takes the time to explain everything to me so that I understand what I need to do to improve myself in order to be better prepared for auditions. I'm only half way through my program but everything so far has been great. I like my classes and I'm learning skills that will last me a lifetime. I am surprised at how much I am improving my confidence. My friends are too as they keep saying how much more outgoing I've become. I'm no longer scared to speak up and voice my opinion. My grades have improved at school because I am not scared to get up in front of my class and give oral reports. I love everything I'm learning at John Casablancas but the best part is that I'm not shy anymore. I've become Miss Confident! I like Chris because he is straight forward about the industry. He really tells it like it is without any sugar coating. He wants us to know everything about the business so that we have the advantage when we go on acting auditions. By the time I finish my classes, I will be ready to go out there and get those jobs! Thanks Chris!!!!! I am a recent graduate from the Langhorne John Casablancas Center. I originally signed up for classes because I wanted to model and I have been modeling part-time on a local basis. But, more importantly, I got a job promotion at my regular job because of my improved confidence and willingness to interact with customers. My old position was "behind the scenes". Now, I'm working with my company's customers and enjoying every minute of my new job. This would not have been possible without John Casablancas. Chris is an expert about interviewing techniques for modeling and acting auditions. He taught us all about our resumes, how to interview professionally and how to present ourselves as professionals. Now, I feel much better knowing what I need to know about this area of the business. I'm having fun learning about the modeling business. My teachers are so smart about the business and they want to share everything they know with their students. We are very happy with everything Chrissy is learning in her acting and modeling classes. Her instructors are professional and go to great lengths to make sure each student understands the material being taught. The staff truly is vested in each of their students learning everything there is to know about the business so they can launch a career. I think the John Casablancas Center is very hardworking. My teacher, Mike, really knows how to get everyone focused on learning their skits and monologues. The ins and outs of proper interviewing techniques is so important to me. I feel very confident that when I start auditioning I know the proper way to interview for TV commercials. Good job Chris! Chris was very helpful in explaining the business side of the acting industry. I especially liked learning about castings, film directors and agencies. The interviewing techniques are important and will help me a lot when I start auditioning for jobs. Everyone at the John Casablancas Center is so cool. I have learned tons of stuff from runway, makeup, photo posing, TV commercial acting, nutrition, hairstyling, fashion, communication and interviewing skills. Every class is exciting and fast paced. I'm never bored and look forward to going to class every other Saturday. I enrolled at John Casablancas because I wanted to look nicer and feel better about myself. I'm happy to say that I've accomplished both of those goals. Everything about myself has improved greatly. I have a positive attitude about myself and about life. My teachers were really encouraging and caring. Because I am more confident I'm not intimidated by others and feel like I can accomplish anything I set my mind on. My grades have improved, my family life has improved and my social life has improved. Thank you to everyone at the John Casablancas Center. I never thought learning would be so much fun! I guess when you have teachers who are motivating, encouraging and knowledgeable about what they are teaching, class becomes exciting! I like that the teachers are professionals and share their acting and modeling experiences with the class. I would recommend John Casablancas classes to anyone who wants to start an acting or modeling career. Let the professionals teach you the right way! Moselle is so professional and knowledgeable. She has a unique way of getting everyone excited about what we are learning. I really appreciate the staff at the John Casablancas Center. They are really passionate about the modeling and acting professions. They are excited for me and they bend over backwards to help me in anyway necessary. Thank you for wanting your students to succeed in life. My daughter is attending the pre-teen classes for TV commercial acting. In just a short time and even though she is only 9 years old, we have seen a dramatic improvement in her attitude. Her acting classes have motivated her in so many areas of her life. Not only is she learning acting skills for TV commercial acting but the John Casablancas teachers are concentrating on her personal development. We appreciate very much everything you are doing to help Rachia. I am improving my acting skills more and more with each class. I look forward all week to going to class. Mike is a very good instructor and very patient with his students. I am glad Mike videotapes us during our scenes so that we can replay the video and watch ourselves on camera. It is very helpful to see myself on camera so that I can learn how to improve my skills. I take the TV/Print classes at John Casablancas. My classes are amazing. I'm learning and learning and learning about the acting and modeling professions. Before I enrolled, I didn't think modeling or acting was all that difficult. I was wrong in the sense that you have to know what you are doing so that when you audition, you have the competitive edge. There are a lot of people who want to model but only those who are professional and trained are going to get selected. A person's beauty isn't enough. You have to have the skills to succeed in this business. And, you have to have a good personality and be responsible. Thanks to everyone at John Casablancas for being such great instructors. I'm happy I joined the John Casablancas school in Langhorne. Everyone is so helpful and encouraging. I look forward to going to class every other Saturday. I'm learning a lot about the modeling business and what it takes to be a model. I just know in my heart that when I finish my classes I'll be prepared to start modeling on a local basis. Thank you for helping me overcome my shyness and fear of new people and new situations. I really suffered from the fear of the unknown. Now, I'm not fearful of anyone or any situation. I feel prepared to face whatever the future holds for me. I am confident about myself and what I have to offer to the world. John Casablancas really changed my life for the better. Thank you always. I feel really comfortable and prepared for my first photo shoot. My teacher, Moselle, has been so helpful teaching me different photo poses, facial expressions and how to apply my makeup for my photo shoot. I can't wait to work with the photographer in my next class. I recently graduated from the Langhorne John Casablancas Center. The John Casablancas staff goes beyond the call of duty with their students. They give 1000% to each and every class. They really know how to make the classes educational, fun and interactive. You don't just sit in a chair for your classes. You are up and about walking the runway, doing photo shoots, applying makeup, acting for TV commercials - anything and everything about the modeling and acting business is covered in the classes. I loved every minute of every class and now since I graduated, I'm putting everything I learned into practice! Who would have thought there are so many terms to learn in the acting business? Guess what? There are a lot and my teacher is amazing in the way he makes it so simple to learn and remember those terms! I am really loving my acting classes. Everytime I attend class I feel like I'm leaving with tons and tons of helpful information and tips! We enrolled our daughter into the modeling program at John Casablancas in Langhorne. After researching a lot of schools, we decided on John Casablancas because of their impeccable reputation. Without a doubt, we made the right decision. We are so impressed with the positive changes in our daughter. Her self-confidence has improved significantly. She now takes great care in her personal appearance. She is dressing appropriately for her age and we no longer argue about what she is wearing. Her makeup application is flawless and her new hairstyle is versatile and very becoming to her face shape. She is a much a happier teenager thanks to everything she is learning at John Casablancas. We appreciate everything everyone has done for our daughter. My favorite part of the acting classes is when we do the monologues! Wow, we have a lot of energy in our class starting with our instructor! I love everything I'm learning about the acting business. My instructor is so helpful to everyone. I just wish the class time didn't go by so fast! What a fabulous program. My daughter is learning so much about the modeling industry. We are thankful for the great instructors and staff at John Casblancas. We are very pleased with the Center. I'm learning so many pointers about the modeling and acting industry! Mike is a great teacher and very helpful to his students. My parents and I agreed that I should take the classes at John Casablancas. You see, my Mom is a pretty natural mom. She doesn't wear makeup or get into fashion very much. I didn't know how to put makeup on or how to choose my clothes so we decided to go to the professionals at John Casablancas. Now, I know how to take good care of my skin, what colors of makeup are suitable for my skin coloring. I know how to apply my makeup without it looking crazy or too much. I learned how to pick clothes that flatter by body type and even learned how to shop creatively without having to spend a lot of money. I'm really enjoying the personal development techniques I'm learning and look forward to my next class. My parents are very happy with everything I'm learning. In fact, my Mom has asked me to help her with makeup and how to dress more stylishly! My classes are challenging in the sense that my acting instructor is always pushing me to do better and better. I'm up for his challenge and I feel like I've really improved my acting and communication skills since starting my program at John Casablancas. He wants me to get out of my comfort zone and even though it's scary at times, once I leave my comfort zone, I'm really happy about it. My favorite part of the program is the scene interactions. It forces me to concentrate and give the best I can give. I've learned a lot to about how to go on auditions and how to prepare my acting resume. I would recommend the John Casablancas Centers to anyone interested in learning how to act for TV commercials! I'm learning so much about myself. I feel like I'm discovering a whole different person. I've been too concerned about what everyone thinks of me while I tried to fit in with my friends. Now, I'm more confident about who I am and being my own person. My teachers at John Casablancas have really helped me overcome my insecurities and fears. I feel really, really good about myself! I'm learning so much about modeling. I've always wanted to model since I was 12 years old. Now, my dream is coming true thanks to my parents and the staff at John Casablancas. I'm so happy I can attend these classes as I'm learning what skills are necessary to enter the business but I'm also learning how to work and act like a professional model. I can't choose a favorite class because all my classes are my favorites. My self-confidence has improved too. I'm a much happier person than I was before I started taking classes. I'm even working harder in school which is showing in my improved grades. My photo shoot was incredibly FANTASTIC! I had such a good time and I like that I can be creative in front of the camera. I've learned to just be myself and let my personality shine through....The photographer was patient, instructive and fun to work with. I can't wait until my photos are developed and I get to see them! Chris is enrolled in the pre-teen classes and he looks forward to going to class more than anything else he does during the week. Although he is only 8 years old, he is learning everything there is to know about TV commercial acting and modeling (for his age group). He is interested in doing both and we support him and the John Casablancas staff 100%. They are doing a great job of teaching my child what he needs to know so he can enter the industry. Thanks to everyone at the Langhorne John Casablancas Center. Monica is a great teacher! She really knows how to get the students to open up in class. Everyone in my class interacts well with each other. I am making new friends and I think we will be friends for a long, long time. We all pretty much have the same goals so everyone is quick to help each other in class. I'm enjoying this experience more than words can describe. I was very shy when I enrolled into the TV/Print program. I wasn't even sure if it would help me. Boy, was I wrong! I've only had 3 classes and my teacher has taught me ways to come out of my shell and overcome my shyness. My friends can't believe the positive changes in me. I enjoy my classes very much and I'm anxious to learn MORE! I'm even thinking of joining the debate team at my regular school. I thought my first class was very interesting and a lot of fun. I was excited to receive my John Casablancas tote bag with the John Casablancas tee-shirt inside. I was extremely pleased to learn how to walk down the runway on my first day! It is in fact harder than it looks but I will master the walk soon. I can't wait until my next class. My modeling classes are interesting. I'm learning a lot about the modeling industry and about everything it takes for a model to be successful, starting with a friendly personality! The classes are very informative, exciting and motivating. I particularly enjoyed learning the basics of the runway. It helped a lot in getting me to move around and actually get the "feel" of how a model walks. I also learned today how important it is to "listen" when others are speaking! I can't wait until my next class. The overall mood and atmosphere is very energetic in all of my classes. My teachers are very helpful to me and want me to do well. They take a lot of time with each student as we all have different needs. I am enjoying my classes beyond my wildest dreams! I love my instructors. They are very detailed oriented and enthusiastic at the same time. Their enthusiasm is contagious. Thanks for the awesome training and really caring about my progress. I'm practicing everything I'm learning everyday! I promise! I truly enjoy my runway classes. There are so many ways to walk on a runway and I'm learning every one of them! I want to be a runway model so everything I'm learning is going to help me become a better model. I am glad to be a student at John Casablancas Modeling & Career Center. My classes are interesting and I learn a lot from each class. I am impressed with everyone at John Casablancas. It is fun, exciting and most of all, educational. I'm excited about my future opportunities. Thanks! I graduated from the TV/Print program last year. It was an incredible experience for me. My instructors taught me so many things that will last me a lifetime. It was a very rewarding and personally enriching experience for me. Everyday, I use what I learned at John Casablancas - in every area of my life! Because of my acting class, my acting resume is 100% better than it was before I came to John Casablancas. I am so happy I am taking these classes. I've learned so much. I wished I had enrolled sooner but at least I'm here now taking classes. I am more confident than before and I see a difference (for the better) in how I'm approaching my acting career. I am an acting student at John Casablancas. My classes are very educational. I didn't realize there were "do's" and "don't" to auditions and interviewing but now I know what to do and what not to do. I feel confident that my John Casablancas education will be invaluable as I start to audition for acting jobs. My classes are fun and I'm learning so much about auditions, agency interviews, acting and modeling resumes. My teacher is very nice to me. My son is enrolled in the Pre-Teen program. I am speechless over the quality of education he (and us too) are learning about TV commercials, headshots, auditions and photography. The program is excellent and as parents, we appreciate being invitied into the classroom when it is necessary for us to be involved. All of the instructors have been so wonderful with Wilson and us. We would definitely recommend the pre-teen program to anyone with a young child who is interested in acting or modeling. I never knew there was so much to learn about modeling. I had no idea there were different ways to walk a runway or different types of makeup to wear depending if you were shooting in black and white or color film. My teacher really explains things to us in a way that these things make sense. She is very helpful to me and my classmates. I can't wait to finish the program and put everything I'm learning into practice. I am at John Casablancas student in Langhorne. I had my 5th class today and learned so much about modeling resumes, interviewing techniques and my introduction to photography makeup. I also learned about photo movement in preparation for my first photo shoot. My instructor helped me a lot with my photo movement and explained things I would have never thought of in a million years. Everyone at the John Casablancas Center wants to help me and they make it so much fun to learn. I can't wait until my next class! I just had my first class today and I love it. I enjoyed learning about regional acting opportunities, the different film and modeling markets and how to "slate" for TV commercials. My first class was jammed packed with valuable information. I also set some personal goals for myself and I intend to accomplish each goal along with the help of the John Casablancas staff. Thanks to Gail for making the orientation class so informative and explaining everything we need to do so we can get the most out of our classes. I love going to the John Casablancas Center every other Saturday. I'm learning so many new things with each class. I am learning new skills and professional techniques so I can launch my modeling career! I love the energy in the classrooms. The teachers really help their students become the best they can be. Thank you for your dedication to your students. The runway and photography classes are beyond spectacular. I never knew there were so many ways to walk on a runway! The modeling classes have really helped me to come out of my shell. I am so much more outgoing since I started taking classes. Thank you for believing in me! Today was my first photo shoot! It was an amazing experience for me and my fellow classmates. I was able to put into practice everything I have learned so far about how to pose in front of the camera, how to "communicate" in front of the camera and how to work with a photographer. I can't wait to see my photos next week! My photography instructor has worked hard with each of us in order for our photo shoot to be successful. Thank you, thank you and thank you! I am an acting student at John Casablancas Modeling & Career Center in Langhorne, PA. My instructor, Nik, is such a great teacher. I really enjoy performing the skits in class. We had sooooooooo much fun today! Today was my first class. It went super well. My teacher was very helpful to me and she really got me to open up in class. My classmates were a lot of fun. I am looking forward to my next class and learning more! I thorougly enjoy my classes. The energy in the classroom was off the charts! I was really pumped for my acting class. I can't tell you enough how much I enjoyed my class today! My son, Maurice, is taking the modeling and acting classes at the John Casablancas Center. We are impressed with the level of instruction and how professional all the instructors are. My husband and I have really seen a big difference in his attitude. I think the self-esteem aspects of the training will be very beneficial to Maurice regardless of what he chooses to do in life. We appreciate everyone at John Casablancas and what they do for their students. I just started my modeling and acting classes at John Casablancas in Langhorne. This is going to be a great experience. I met a lot of new people and I just know I'm going to be making new friends. We all have the same goals which is really cool! The staff is very nice and they explained everything in simple terms. I can't wait until my next class. My modeling classes are amazing. I didn't know there was so much to learn about modeling. I thought it was all about the clothes. Boy, was I wrong. It's more about confidence, personality, learning how to walk a runway properly, learning how to work in front of a camera and having good audition interviewing skills. My teachers are so helpful to me. Everyone at John Casablancas wants me to succeed in life. With their help, I'm off to a good start. Thank you to everyone at John Casablancas. Since I began taking classes at John Casablancas, I've learned so much useful information. Everything I'm learning is being applied to all aspects of my life. My confidence has improved and I'm way more comfortable with myself than I use to be. I use to try to copy everyone's way of dressing and makeup. Now, I know that I'm unique and that I have my own special qualities. I don't need to copy anyone else anymore. I'm a new person! I am a student at the Langhorne John Casablancas Center. I enrolled into classes to improve my image. Wow! My image has improved 100%. I have great instructors who have taught me how to determine my fashion style based on my lifestyle (student). I love fashion but always had a hard time figuring out what really looked good on me. Now I know what looks good on me. My makeup and hair classes have been so much fun. My parents love the "new" me. My friends comment on "how together" I look. I would recommend these classes to anyone. I take acting at John Casablancas. My teacher, Chris, has really encouraged me about how to audition properly and he has been very encouraging to me, every step of the way. His comments have been helpful and challenging. He wants me to do well in class and I've really learned a lot about the acting profession. I love my modeling and acting classes! The teachers are so enthusiastic and make all the classes a lot of fun. I'm learning so many new things, I've lost count! I love learning how to act in TV commercials. My posture and self-confidence has improved so much since taking the runway classes. Now, when I enter a room full of strangers, I feel good about myself and have learned how to speak to new people and be a good listener! Thanks John Casablancas and to the staff in Langhorne. My modeling classes are so much more than I thought they would be. I'm learning the very latest in runway, makeup, fashion, hair styling and nutrition. I'm learning to make the best use of my strong points and my confidence has really improved since joining the John Casablancas Center. The photography classes are amazing and I can't wait to see the proofs from my first photo shoot! I love the instructors at the John Casablancas Center. They are very straight forward with their constructive critiques. All their suggestions are for my benefit. They want me to succeed and be the best person I can be. They are very caring and give a lot of one on one instruction during class. My acting classes are very informative, educational and motivational. I've recently learned everything there is to know about auditions, video taping and scene interactions. I really appreciate my acting instructor's video taping me when I'm reading a scene or even rehearsing a scene as it so helpful to see myself on video. It's a great teaching tool! I know without a doubt, that without this acting training at John Casablancas, I wouldn't even have a chance of entering the business as a beginner. Thanks to everyone at John Casablancas. I am a student at the Langhorne John Casablancas Center. I'm taking the professional modeling and acting program. I am very interested in modeling and acting but I really enrolled into the program in order to feel more confident about myself. I'm happy to say that my confidence has improved 100%...Thank you for everything you are teaching me. Chris is a great instructor. He is very professional and consistent with his acting instruction. My classes are very helpful to me in learning how to act on auditions, how to present myself and how to be prepared for auditions. It might look easy to some, but there are a lot of things to know in order to be professional in the acting world. I love my classes. I am learning a lot about creating different facial expressions in my acting class. My teacher, Chris, is a very good teacher and makes the classes fun. I've made a lot of new friends in my acting class. Everyone in class is helpful to each other. I didn't know there was so much to learn about acting! My self-confidence has skyrocketed and I feel more comfortable being myself instead of trying to please everyone around me by being someone I'm not. These classes have changed my life! I am taking the professional acting classes at the John Casablancas Center. My favorite part of the acting classes are the "shared scenes". It has really helped me to be more creative. The instructors are very knowledgeable and professional. They always encourage us with their own personal stories about auditions and acting jobs! I hope to be a famous actress one day and I will remember to thank everyone at the John Casablancas Center for giving me a start in the acting world. I love the skin care, make up classes and the hair classes. I use to wear a lot of makeup to cover up all my pimples. Now, I've learned how to take care of my skin properly and my pimples have disappeared and I wear natural looking make up these days. Everyone comments on how nice my make up always looks. I use to wear my hair over my eyes but now that I've learned what hairstyles look good on me, I've cut my hair and style it everyday. I've even learned about proper nutrition and I feel better now that I've quit eating junk food! I love the instructors at the John Casablancas Center. They really care about me as a person. I don't want my classes to end! I am so excited about attending classes at John Casablancas. I'm learning so much helpful information about modeling and acting. I'm also learning more and more about myself as a person. My confidence has definitely improved. My parents are very happy that I am going to these classes. They keep saying they have noticed a huge difference in my attitude, the way I'm dressing and my grades are even improving in school. Even if I never model or act, this has been a great experience for me. I think everything I've learned I'll be able to apply for a lifetime. Thanks John Casablancas! The John Casablancas classes and curriculum are very organized and professional. They teach you everything you need to know about the modeling world. The instructors are wonderful and caring and take a real personal interest in each of their students. Thank you for helping me move closer to accomplishing my goals. I could not have done it without the John Casablancas staff! I am a student at the Langhorne location of John Casablancas. I love the friendly atmosphere. The instructors and staff are very motivational, are fun to be around and most importantly, they have really helped me to develop my self-confidence. I look forward to attending my classes and learning from the professionals. You are awesome! This class was tons of fun. You'll learn so much! I know I did. These class es were worth every penny, and you'll have such a blast. Thanks for this great experience! To the staff of John Casablancas-Thank you so much for giving my daughter, Aly, the opportunity to take classes with you. I have seen her grow so much. She has gained so much confidence in herself its great! Every class that she took helped her in what she wants to do. I'm very pleased to see she is so interested in something so great as this. Thank you. Even if you don't want to become a model, this school helps you with hair, make-up, and self confidence. John Casablancas teaches you how to walk, turn, and "act" like a model. It was such a great experience, I would do it over again in a hot minute! John Casablancas Modeling and Career Center has boosted my drive and motivation to be a model. My self esteem and confidence has sky-rocketed. I'm happy in my own skin! The instructors are great and very helpful. They have inspired me to do my best. I've learned so much about the modeling business. I feel confident. I've also learned the basics like make-up, nail care, skin care, and hair care. I now know how to come prepared for bookings or casting calls. Runway is something I thought was just walking but I've learned its more than that! It's the posing, posture, model stance and choreography. I will miss this school, teachers and the classes very much. I will promise to stay focused and maybe I will make it big, and you'll see me in many magazines!